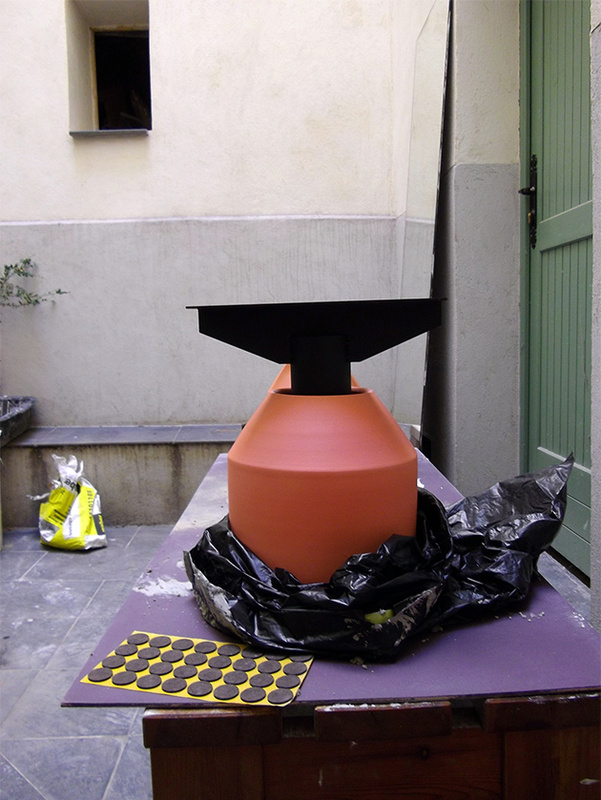 Commissioned as part of the Cermics biennale of Vallauris, the centre of ceramic production in the south of France. 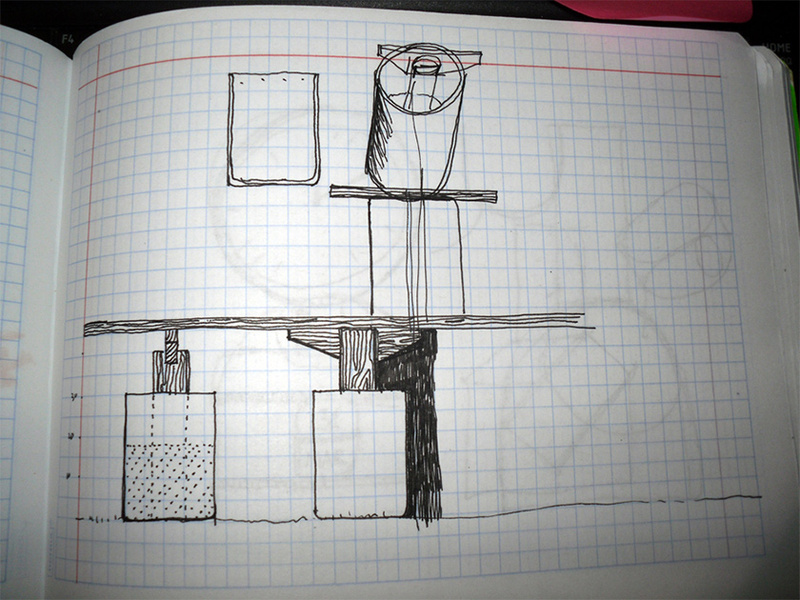 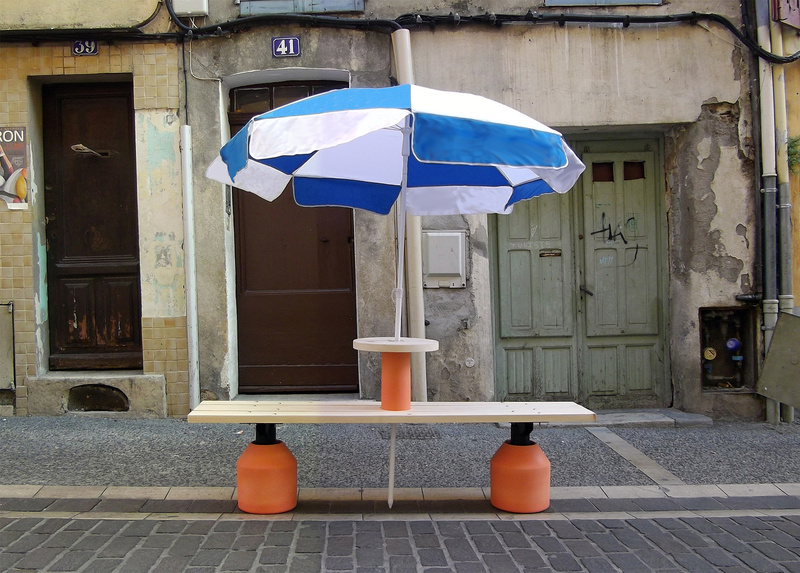 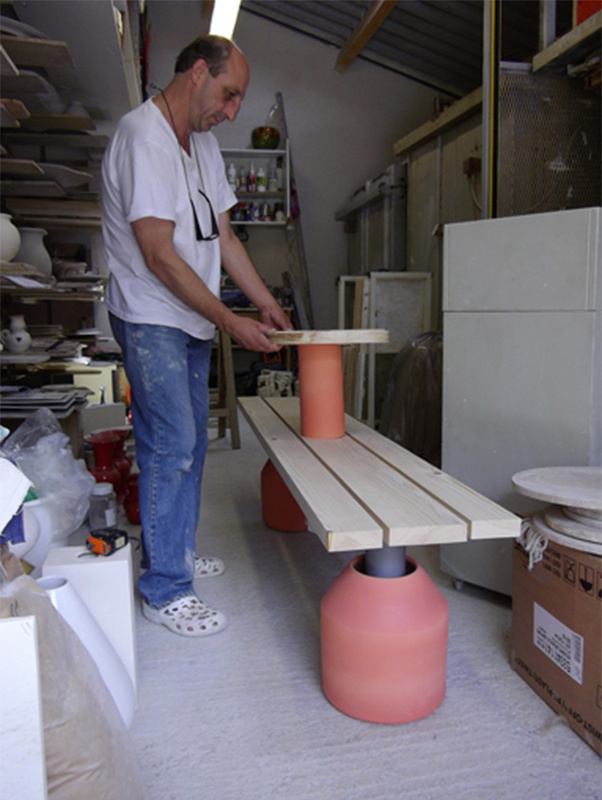 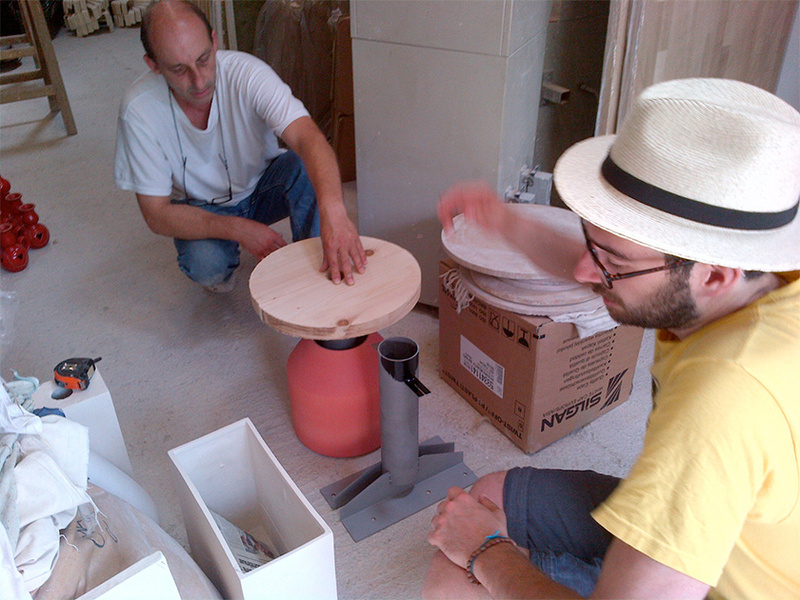 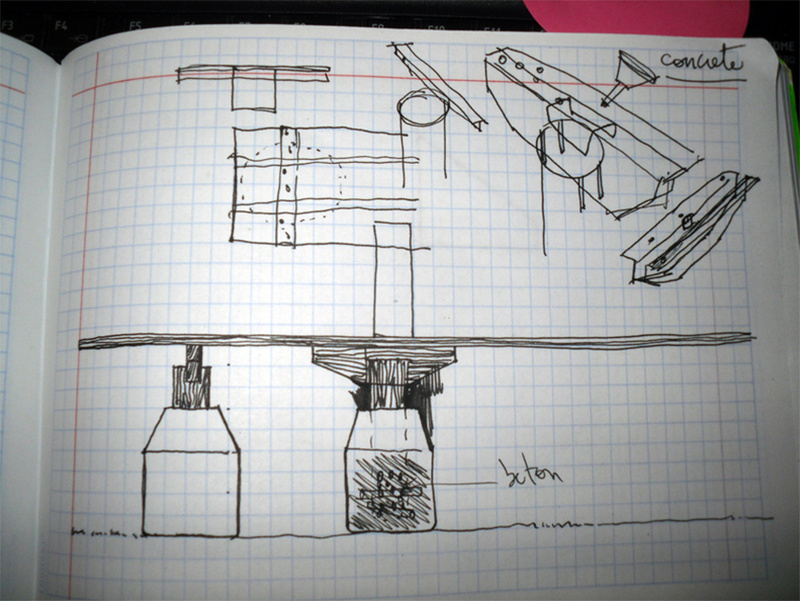 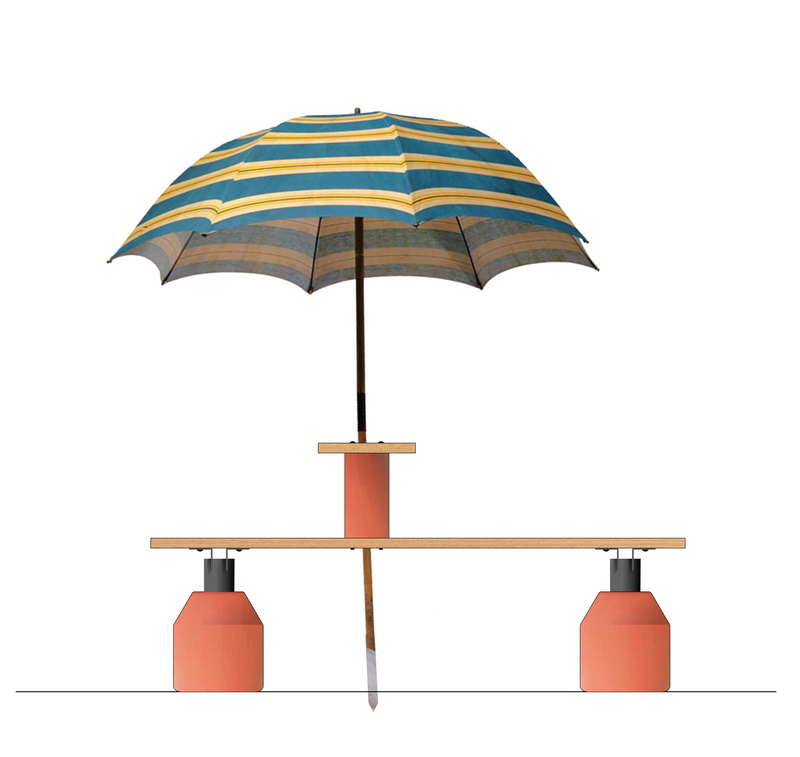 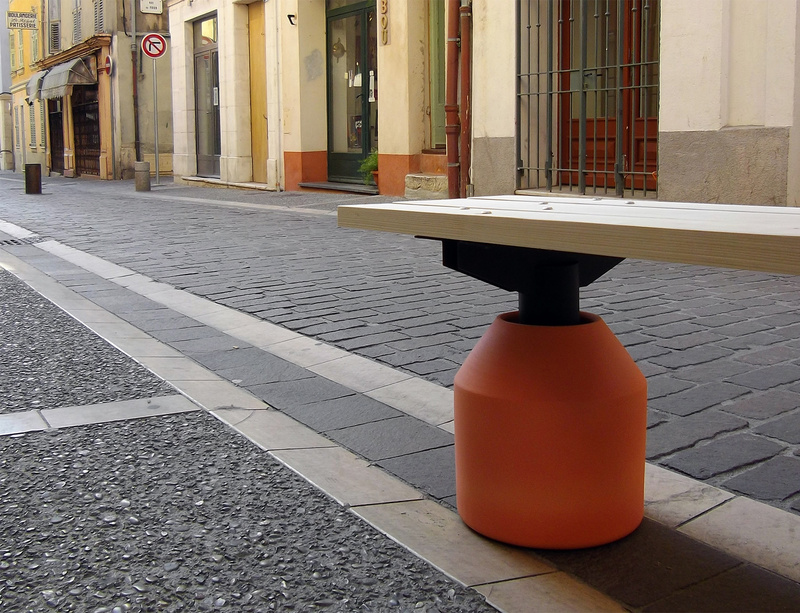 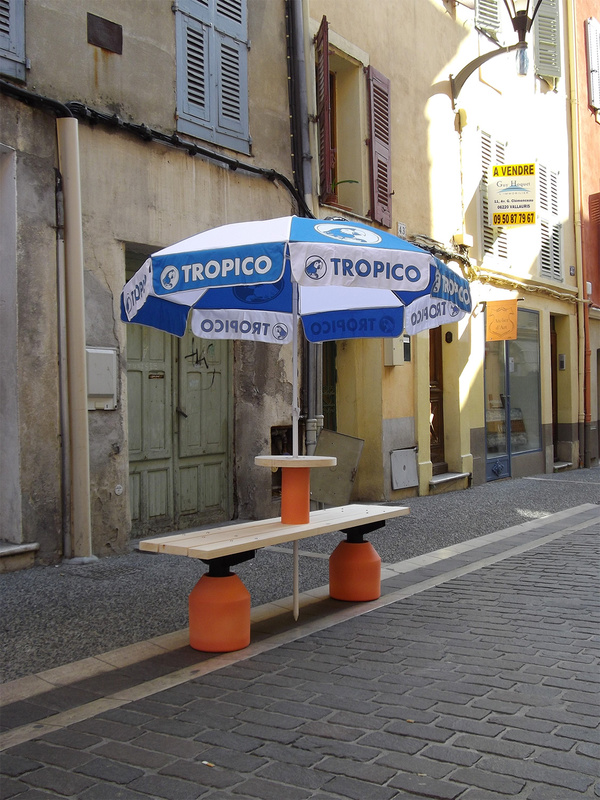 I collaborated with local ceramicist Gerard Crociani to develop a system of outdoor and public furniture. 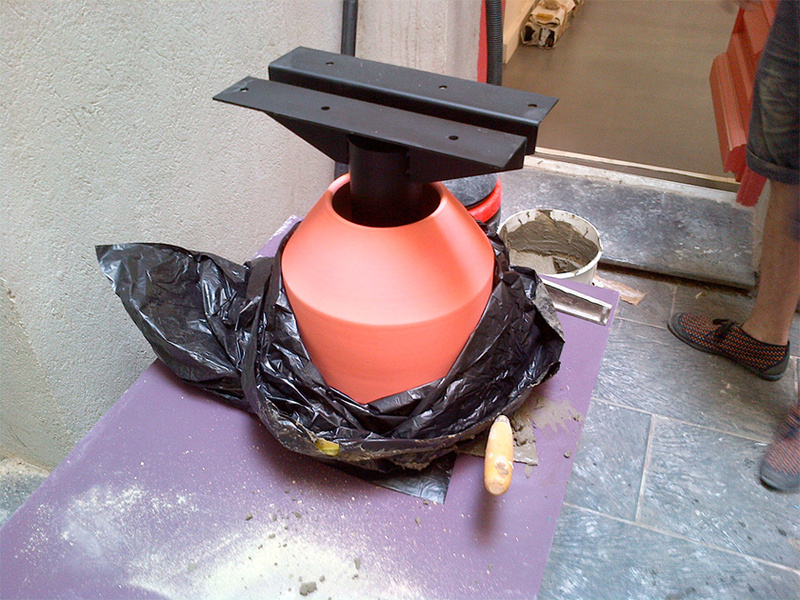 Concrete is poured into the ceramic container to hold the metal structure in place and ballast the bench.